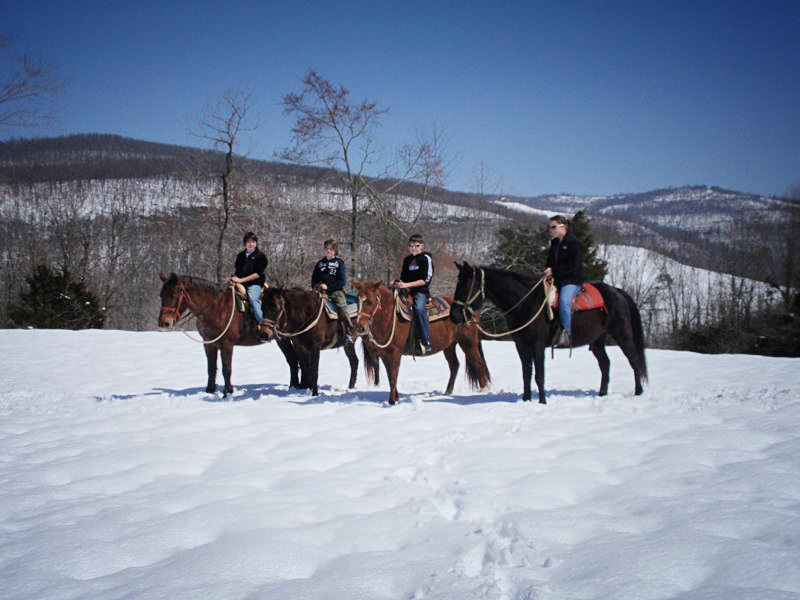 Rimrock Cove offers unique guided horseback riding trips. 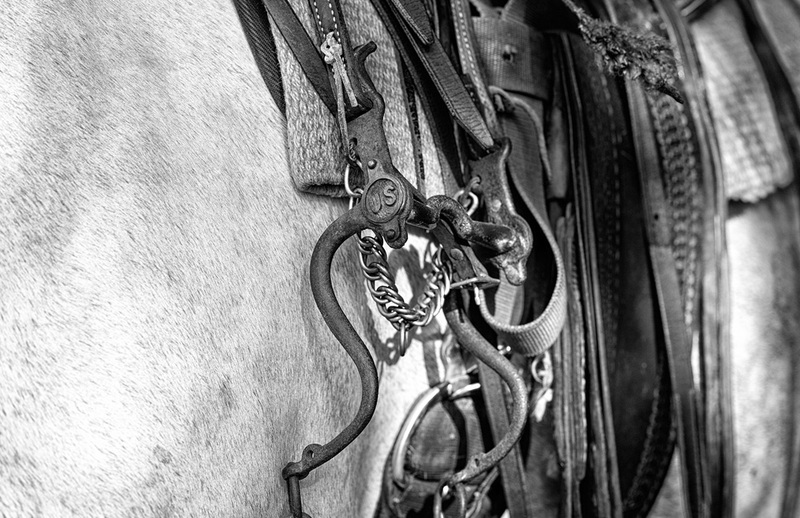 Come with us and connect to nature on horseback. This is horse country and we think riding is a great way to see the landscape. Take in the quiet wooded trails flanked by boulders, cross a meandering stream and venture out into an open meadow where you'll be treated to a beautiful view of the mountains. We keep groups small so that we can offer more individual attention and share our knowledge of the wild surroundings. 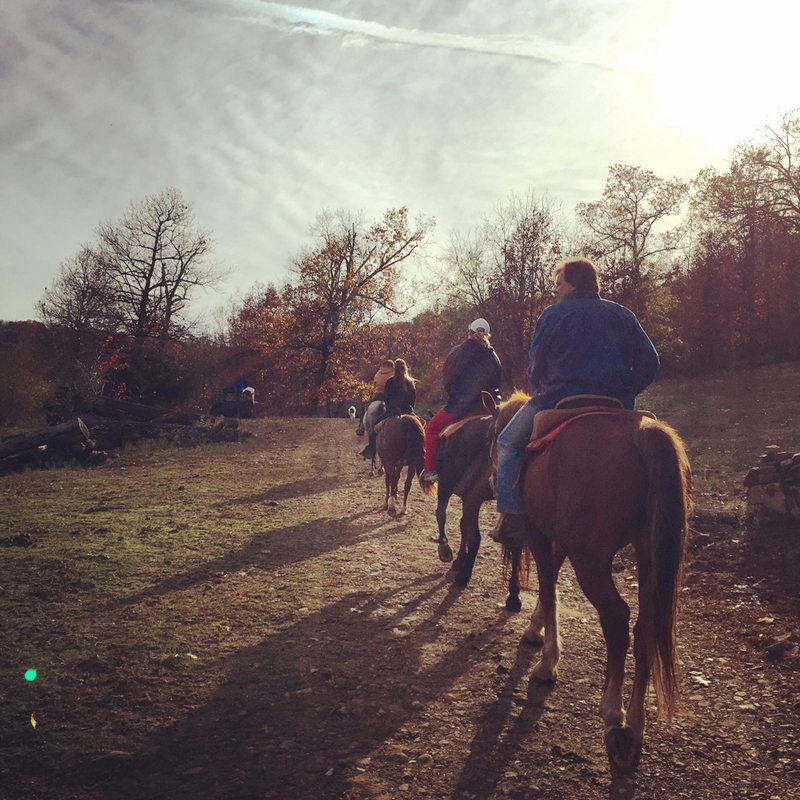 We offer one, two or three hour guided horseback rides by reservation only. Please contact us at 870-553-2556 to reserve. 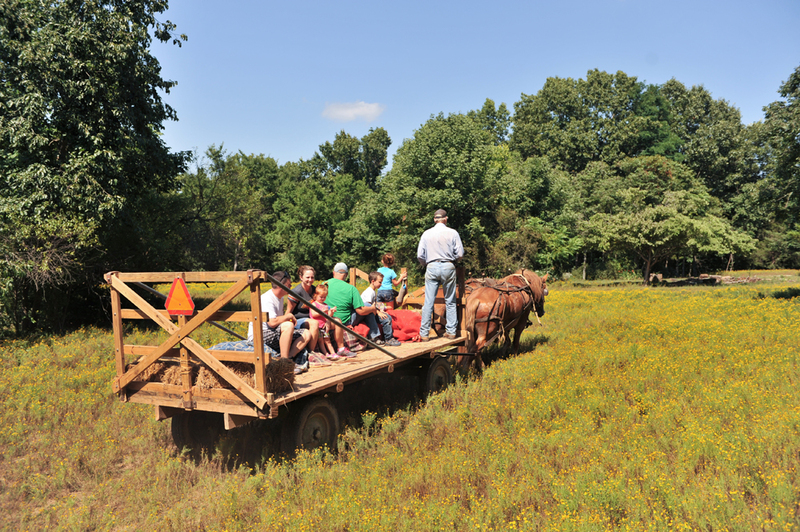 Hayrides: For larger groups or those who are unable to ride horseback we offer a horse drawn hayride. 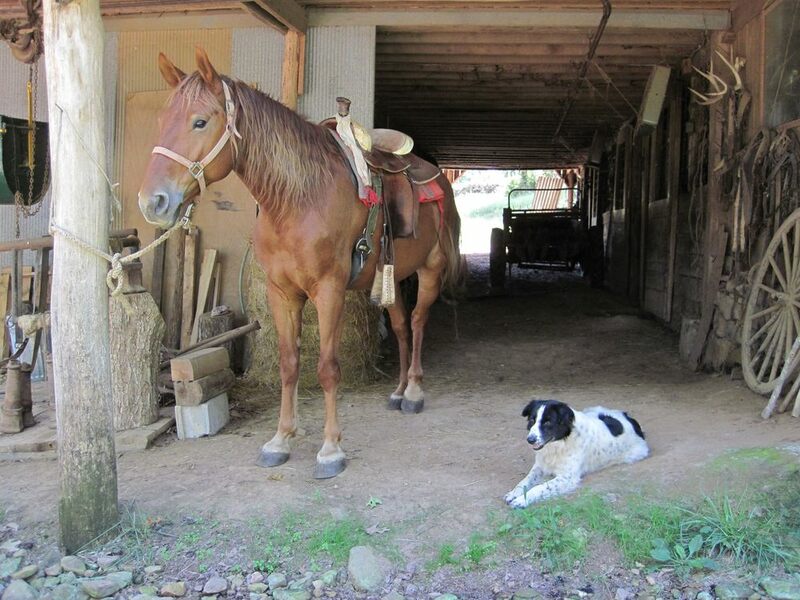 You can reserve a one hour ride on the hay wagon and see some of the same wooded trails and open meadow that we cover on horseback, or take the two hour option where we will stop and build a fire for you to roast hot dogs, marshmallows or what ever you choose to bring along.